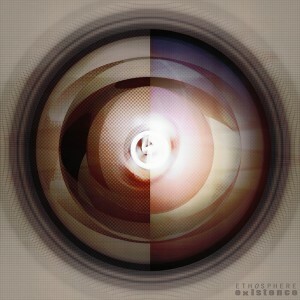 Ethosphere (Ryan Rudman) returns to Ektoplazm with his second full length album, Existence. Following up on his eclectic debut release, Reshift (2012), this album further explores the realms of multifaceted electronic music. As a guitarist with a love for everything from jazz to heavy riffage, Ethosphere has found his own sound by merging his favorite instrument with the endless sonic possibilities afforded by synthesizers and electronics. The album is highly melodic and each track is a curious and unique piece which should appeal to lovers of diverse music. Mastering and artwork by Ryan Rudman. MP3 Download | FLAC Download | WAV Download · Download count: 6,146. Top notch guitar work merged with electronica! Fantastic album – 5 stars all the way around! Ok… WOW. This is awesome! Thanks for sharing! My Bru !!!!!!!!!!!!!!!!!!! This is EPIC ! Well done mate i am super impressed , We have gotta do a Collab ! Been waiting for this one for a really long time! Didn’t even preview a song, it WILL be good! This guy is on par with Easily Embarrassed. Yeahhh ! Rocking album !! Very nice work ! This is a masterpiece of electronic music! Vocals, guitar, beats, and the overall composition of this album are incredible! haven’t stopped listing to Existence since downloading it. Beautiful from start to finish. Makes the hair on the back of my neck stand whenever I listen to the album and especially “The Long Grey”!!! Absolutely love it!!!! Amazing album, innovative sounds, awesome electric guitar segments, great female vocals, what’s not to love about this album? It seems to convey a very dystopian view of a world at war; you can easily sit back an daydream about such a world while listening to this album. Thank you for this album Ryan! Oh my god i never heard something like this before, unique!